The story of Leon Vance is one of the saddest stories to emerge from the Second World War. He was a young American, who through his bravery and dedication, saved the lives of his colleagues and prevented their heavily striken aircraft from crashing into populated areas of southern England. Following a mission over France, his was very severely injured, but miraculously fought on. Leon Robert Vance, Jr. known as ‘Bob’ to his family and friends, was born in Enid, Oklahoma, on August 11th, 1916. He graduated from high school in 1933 after receiving many honours and being singled out as a high performing athlete. He went on, after University, to the prestigious Training College at West Point in 1935, staying until his graduation four years later in 1939. It was here, at West Point, he would meet and marry his wife Georgette Brown. He and Georgette would later have a daughter, after whom Vance would name his own aircraft ‘The Sharon D’. Vance would become an aircrew instructor, and would have various postings around the United States. He became great friends with a Texan, Lieutenant Horace S. Carswell, with whom he would leave the Air Corps training program to fly combat missions in B-24 Liberators. They became great friends but would go on to fight in different theatres. 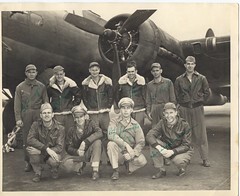 Prior to receiving his posting, Vance undertook training on Consolidated B-24s. 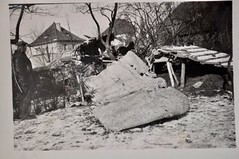 Then, in October 1943, as a Lieutenant Colonel, he was posted to Europe with the newly formed 489th Bombardment Group (Heavy), as the Deputy Group Commander. 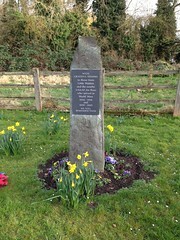 One of the last groups to be assigned to the european theatre, they formed part of the 95th Combat Bombardment Wing (2nd Bomb Division), Eighth Airforce, and were sent to RAF Halesworth (RAF Holton) designated Station 365 by the USAAF. The group left their initial base at Wendover Field, Utah in April / May 1944 and their first mission would be that same month on May 30th, 1944, as part of a combined attack on communication sites, rail yards and airfields. 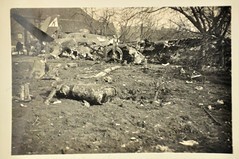 A total of 364 B-24s were to attack the Luftwaffe bases at Oldenburg, Rotenburg and Zwischenahn, along with other targets of opportunity far to the north in the German homeland. 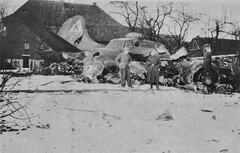 With only 1 aircraft lost and 38 damaged, it was considered a success and a good start to the 489th’s campaign. As the build up to Normandy developed, Vance and the 489th would be assigned to bombing targets in northern France in support of the Normandy invasion about to take place further to the south. An area the unit would concentrate on, prior to the Allied beach invasion on June 6th that year. The day before D-day, the 489th would fly to Wimereaux, in the Pas-de-Calais region of northern France. This would be Leon Vance’s final mission. The group, (Mission 392), consisted of 423 B-17s and 203 B-24s and were to hit German coastal defenses including: Le Havre, Caen, Boulogne and Cherbourg areas as precursors to the Normandy invasion. Some 127 P-47s and 245 P-51s would support the attacks. The 489th would assemble at 22,500 feet on the morning of June 5th, proceed to the south of Wimereaux and fly over dropping their payload then return to England. On the run in to the target, Vance was stationed behind the pilot and copilot. The lead plane encountered a problem and bombs failed to jettison. Vance ordered a second run, and it was on this run that his plane, Missouri Sue, took several devastating hits. 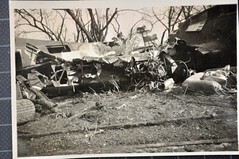 Four of the crew members, including the pilot were killed and Vance himself was severely injured. His foot became lodged in the metal work behind the co-pilots seat. There were frantic calls over the intercom and the situation looked bad for those remaining on board. To further exacerbate the problems, one of the 500lb bombs had remained inside the bomb bay armed and in a deadly state, three of the four engines were disabled, and fuel spewed from ruptured lines inside the fuselage. Losing height rapidly, the co-pilot put the aircraft into a dive to increase airspeed. The radio operator, placed a makeshift tourniquet around Vance’s leg, and the fourth engine was feathered. They would then glide toward the English coast. 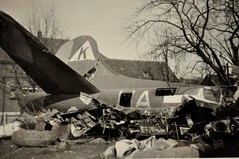 The aircraft was too damaged to control safely, so once over english soil, Vance ordered those who could, to bail out. He then turned the aircraft himself out to the English Channel to attempt a belly landing on the water. A dangerous operation in any aircraft, let alone one with an armed bomb and no power. Still trapped by the remains of his foot, laying on the floor and using only aileron and elevators, he ensured the remaining crew left before the aircraft struck the sea. The impact caused the upper turret to collapse, effectively trapping Vance inside the cockpit. By sheer luck, an explosion occurred that threw Vance out of the sinking wreckage, his foot now severed. 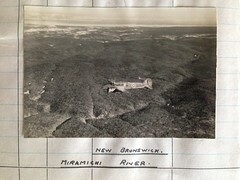 He remained in the sea searching for whom he believed to be the radio operator, until picked up by the RAF’s Air Sea Rescue units. Vance was alive, but severely injured. He would spend a number of weeks, recuperating in hospital, writing home and gradually regaining his strength. Disappointed that his flying career was over, he looked forward to seeing his wife and young child once more. However, on a recuperation trip to London, Vance met a young boy, who innocently, and without thought, told him he wouldn’t miss his foot. The emotional, impact of this comment was devastating to Vance and he fell into depression. Then, news of his father’s death pushed him down even further. Eventually, on July 26th, 1944 Vance was given the all clear to return home and he joined other wounded troops on-board a C-54, bound for the US. It was never to arrive there. The aircraft disappeared somewhere between Iceland and Newfoundland. It has never been found nor has the body of Leon Vance or any of the others on board that day. Vance’s recommendations for the Medal of Honour came through in the following January (4th), but at the request of his wife, was delayed until October 11th 1946, so his daughter could be presented the medal in her father’s name. Leon Vance’s actions would be remembered. His local base in Oklahoma was renamed ‘Vance Air Force Base’ on July 9th, 1949. 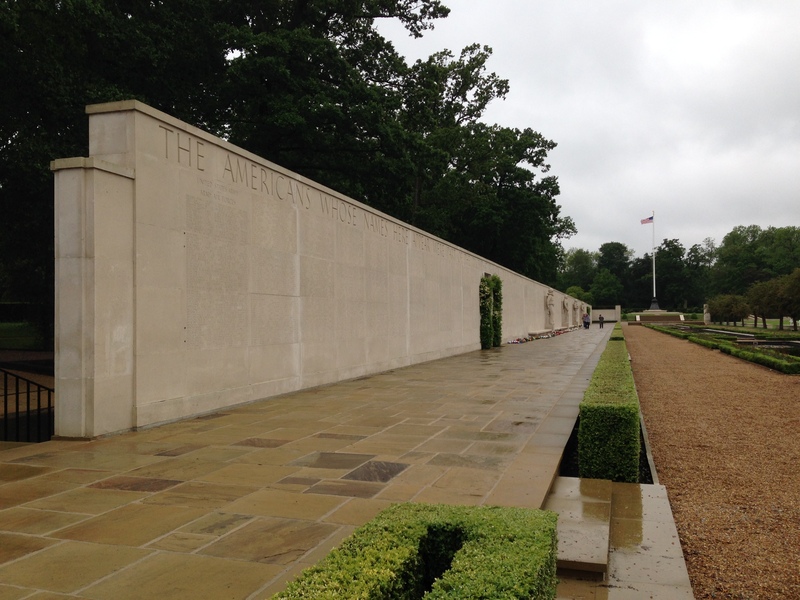 The gate at Tinker Air Force Base, Oklahoma was also later named after him on May 9th, 1997, and his name appears on the ‘Wall of the Missing’ at Madingley American War Cemetery in Cambridge, England. The Wall of the Missing, on Which Leon Vance’s Name Appears. For other personal tales, click here. *1 “Medal of Honor recipients – World War II”. *2 Photo Public Domain via Wikipedia. The extraordinary courage and bravery of men like Lt. Col Leon Vance astounds me. An act of valour such as this is beyond my comprehension, despite his horrific injuries, he not only thought to save his crew, but ditched his aircraft to save his remaining crewmate. These stories captivate and enthrall me Andy, thank you for sharing such an epic mission. Thank you Rich. They really are true heroes and incredibly brave and selfless young men the likes of which we are unlikely to ever see again. The sacrifice they made is incredible and the honour bestowed upon them never goes far enough to repay the sacrifices they made.